Fears are growing for a mother-of-two with MS who hasn't been seen by loved ones since Saturday morning. 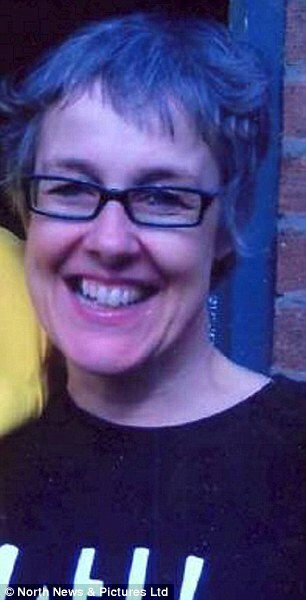 Margaret MacDermott disappeared from her home in Newcastle in the early hours of Saturday morning. Her disappearance has been described as completely out of character as she has never gone missing before. She is described as around 5ft2in tall, of slim build and with short grey hair. She is a long term sufferer of multiple sclerosis (MS) and so also has a distinctive walk. It is believed she may be wearing a dark-coloured jacket, dark trousers and white trainers. Her blue Renault Captur was found parked on Newcastle Quayside on Saturday afternoon. CCTV footage revealed it was parked there by Margaret at around 5am that morning. Northumbria Police Chief Inspector, Ron Charlton, said: 'Margaret's family are understandably very concerned for her welfare and we are working hard to locate her safe and well. 'We have identified CCTV footage that shows Margaret leaving her car on the Quayside at around 5am so we are particularly keen to speak to anyone who was in that area at the time. 'If you were out jogging or walking your dog at the time then please try and remember if you saw a woman with a distinctive limp walking in the area.